Originally, the tanto knife was used by the Japanese for indoor close combat. In your hands, the Zombie Skull Tanto will transform you into a zombie killing machine as you test its abilities on the unfortunate undead in your path. 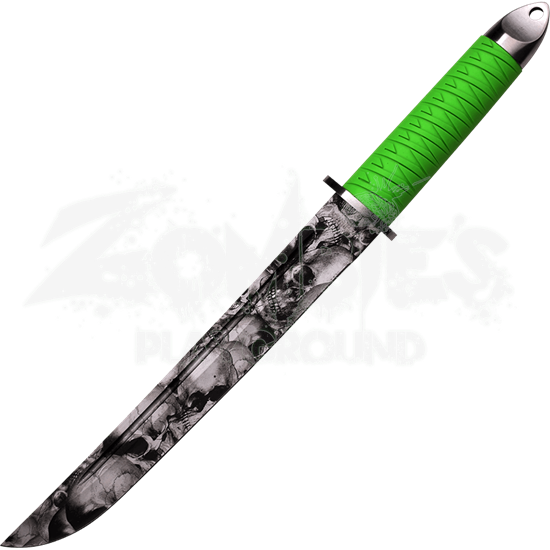 Crafted from stainless steel, the tanto blade on this knife is durable enough to stand up to slicing and stabbing the hordes of hungry zombies you will face. The blade features a fuller to help lighten the blade without reducing strength or flexibility. 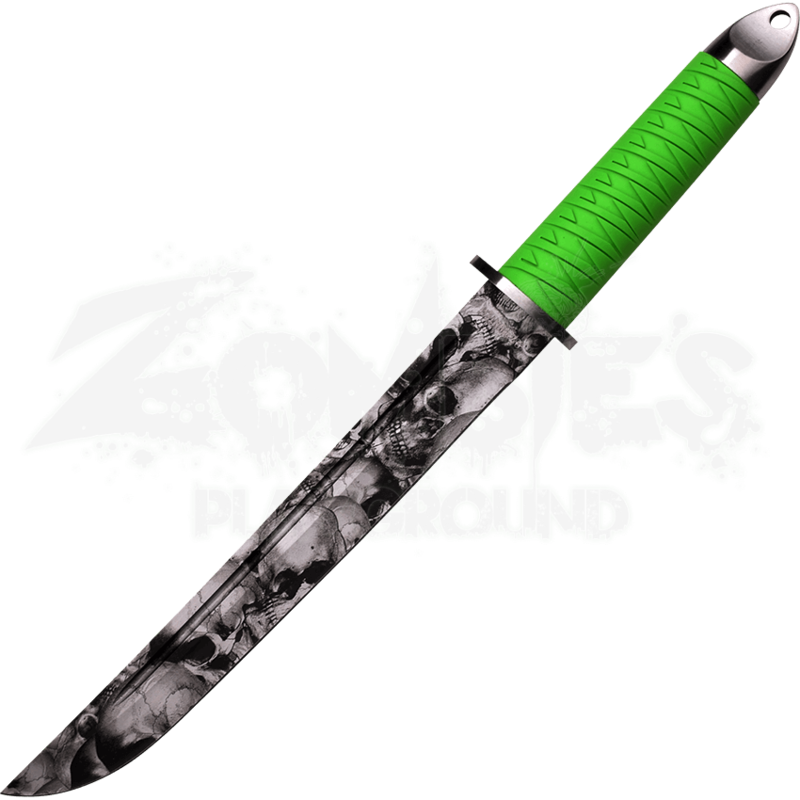 The skull graphics on the blade will give your casualties a glimpse into their fate, while the neon green rubber wrapped around the handle keeps the knife comfortable and resistant in your hand. With a protective sheath, the Zombie Skull Tanto will equip you with all you need to survive the onslaught of ghouls.